Malayalam actor Dileep has been accused of conspiracy in the abduction and assault of an actress, with whom, the police alleged, he had a "personal enmity." 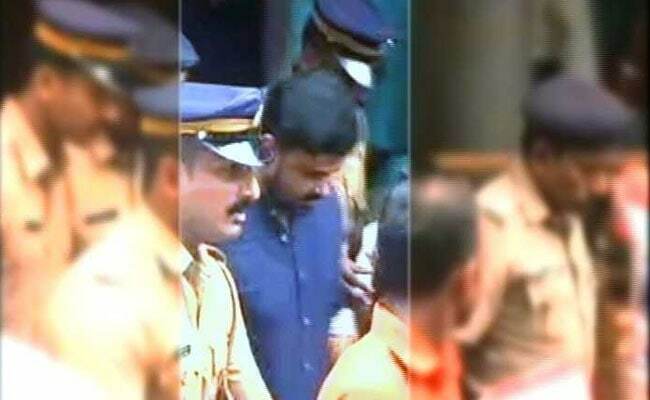 Malayalam superstar Dileep, arrested on Monday in the kidnapping and sexual assault of an actress in February, has been sent to prison for 14 days. He will be lodged at the Aluva sub-jail, around 25 km from Kochi. His lawyers have sought bail. "I am innocent and I will prove my innocence. I was trapped," the 48-year-old actor said this morning before he was taken to prison. He was arrested on Monday evening after many rounds of questioning at an undisclosed location. People gathered in front of the jail today mocked the actor by shouting slogans of "Welcome to Central Jail." Dileep's film in 2016 was "Welcome to Central Jail". Last evening, a hotel that he owns in Kochi was attacked and ransacked by an angry crowd. Seven top Malayalam actors including superstars Mohanlal and Pritiviraj met at the Kochi home of mega star Mammootty hours after Dileep was sent to jail and expelled the accused actor from the Association of Malayalam Movie Artists (AMMA). The actor has been accused of conspiracy in the abduction and assault of the actress, with whom, the police alleged, he had a "personal enmity." On February 17 this year, the actress was travelling by road to Kochi for work when she was abducted and held captive in a moving car for nearly two hours. Four men molested her and also took photos on their cellphones, before dumping her near the home of a film director, who called the police. Six people, including Pulsar Suni, a driver she had sacked some time back, were arrested. Pulsar Suni has reportedly told the police that he was paid to attack the actress. Police sources said they are investigating the allegation that Dileep had offered 1.5 crore rupees for an attack on the actress in 2013 and that he was seen with Pulsar Suni, the actress' former driver and the main accused in the case, in a BMW on several occasions. Dileep was questioned last month for over 12 hours after he claimed he and a director were being blackmailed for 1.5 crores by the kidnappers, including Pulsar Suni. "A big shark will fall," Pulsar Suni had told reporters last week after his jail sentence was extended for the second time. The police have earlier raided Lakshya, a boutique owned by Dileep's wife Kavya Madhavan, in search of crucial evidence, based on the confession of Suni. The actress who was attacked had recently talked about legal action "against an actor" who she said had falsely suggested that she was friends with her former driver. "It's been brought to my knowledge that an actor has said that the accused in this case - Pulsar Suni and I were friends and that one should be careful while befriending people. This has pained me. If such baseless allegations are made against me, I am even willing to take legal action, if required," she had said in a statement. Though she did not name anyone it was clear she was talking about her co-star Dileep, who appeared to suggest in a TV interview that the actress should have been more cautious about who she befriended. Women in Cinema Collective, a rights organisation set up by women artists of Kerala film industry, including Dileep's former wife and actress Manju Warrier, after the arrest of the actor, said on Facebook, "We want justice for our woman colleague...Let the investigation progress, evidence be collected and let the truth come out."